You can conquer your kitchen clutter. Keeping your kitchen tidy and organized can be tough. As the heart of the home, it's often used for much more than food prep and eating -- it tends to be the primary gathering area for family activity. To get your kitchen clutter under control, tackle the following three trouble spots. Kitchen counters seem to be the "drop zone" for folks of all ages. When we want to cook and prepare food, we have often have to maneuver around stacks of mail, backpacks, children's artwork, water bottles, and other belongings. 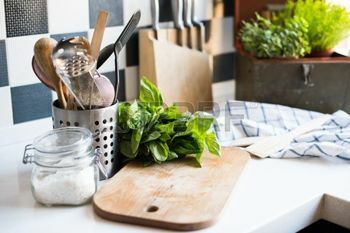 An essential step in eliminating this problem is designating an area that you can commit to keeping a clutter-free zone -- a space reserved just for food prep. It's also okay to have another designated zone for the actual clutter, as long as you set a schedule to clear the area on a regular basis. The secret to creating space on kitchen counters is not what you put on the counters, but when and how often you clear them. Next, note which items you use regularly and which ones you don't. Relocate infrequently used items -- such as vases, serving dishes and small appliances -- to another space. Keep items you use daily accessible -- but off the counter -- by hanging them on the wall (knives, for example) or from the ceiling (like pots and pans). Pantries can be a dream come true or a perfect nightmare, depending on how you manage the stuff inside. 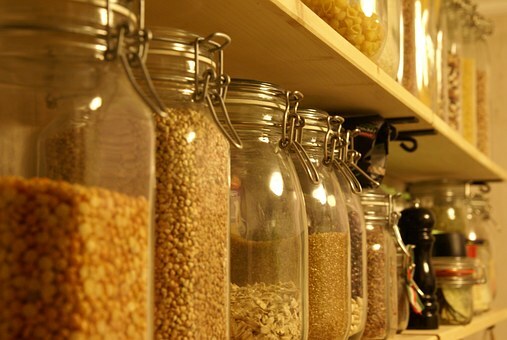 If you're lucky enough to have a pantry in your kitchen, make sure you take advantage of the storage space. The best way to get your pantry under control is to start from scratch. Take stock. Check expiration dates, and throw out items that have expired. If you're consolidating items, repackage them into smaller containers with a sticky note indicating which to use first. Group like items together. Sort items into dry goods, canned goods, baking supplies and snacks. Reload. Put the items back on the shelf in a way that makes sense to you. For example, use the top shelf for canned and dry goods, put baking supplies on the middle shelves, and store snacks on the bottom shelves where kids can reach them. When you're reorganizing, don't forget to use all available space. Over-the-door organizers are a great option if you have room in your pantry. Stash pantry items in the see-through pockets to virtually eliminate search time. 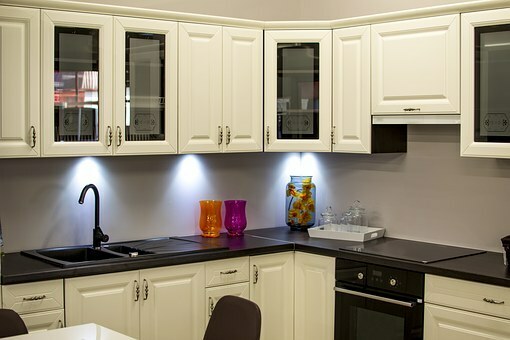 Visibility and accessibility are the biggest obstacles with kitchen cabinets -- usually because we have too much crammed into the space, and items are not grouped together logically. Group kitchen items by purpose, and assign them to specific drawers or cupboards. For example, keep all bakeware in one cabinet. Frequently used supplies such as bags, foils, and wraps should go in an easily accessible drawer or cabinet. One key to preventing kitchen clutter is establishing a solution for items that tend to inexplicably reproduce, such as plastic containers. They always seem to create mayhem with their varying lids, shapes and colors. To tame the plastic container clutter, gather them all together, with their lids. Recycle, donate or throw away all pieces that are broken, cracked, or stained, as well as containers that don't have lids, and lids that don't match any of your containers. Then sort your containers by shape and size, and stack them so the nest, with smaller containers inside larger ones. Finally, store lids in a separate clear container, basket, or napkin holder in order by height (smallest to largest). Create a maintenance plan moving forward. Resist the urge to save every takeout container and food tub, and get everyone in the family into the habit of putting the containers and lids away properly so you'll never again have to worry about container clutter.